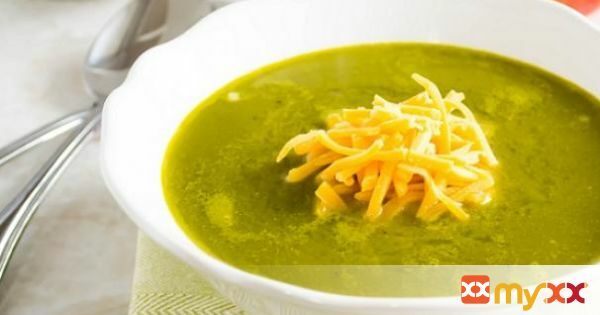 A lip smacking soup with hot, sweet, salty and tangy flavors that will take your taste buds on a roller coaster ride. 1. Heat oil in a nonstick sauce pan over medium flame. 2. Add apples and saute for 1 minute or until you start getting the aroma. 3. Add spinach and saute again for 1 minute. 4. When the spinach starts to cook add garlic and mix well. 5. Add vegetable broth and boil for 2 minutes. 6. Turn off the flame and let it cool for a while. 7. Blend it smooth and strain. 8. Again heat the soup in the same sauce pan. 9. Add salt and pepper and mix well. 10. At the first boil add the coconut milk. Mix and turn off the flame. 11. Garnish with cheddar cheese and serve hot.